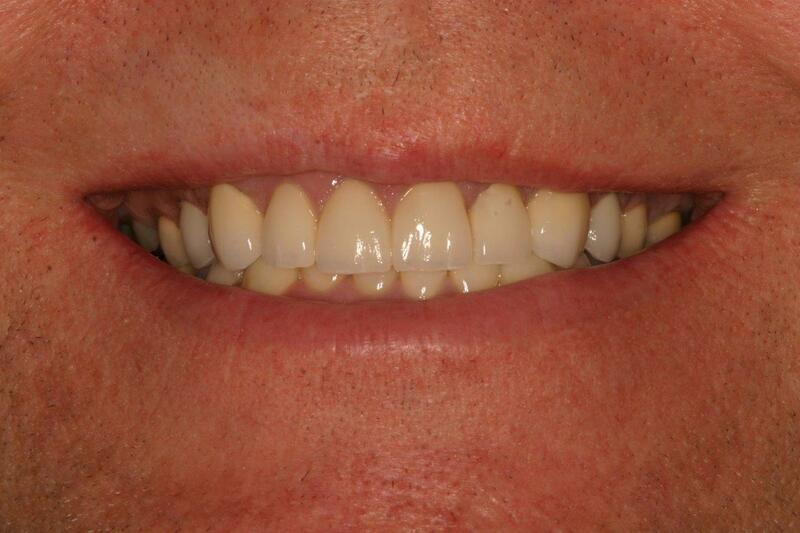 Two Porcelain crowns and four Composite Restorations. 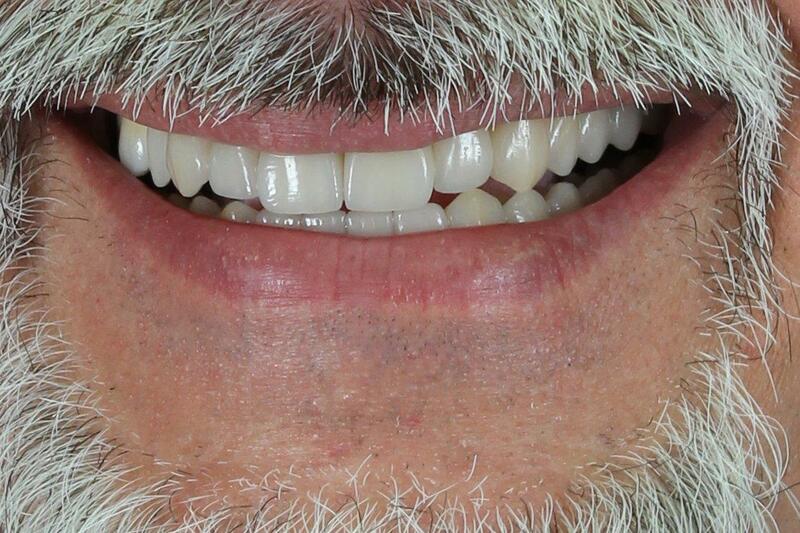 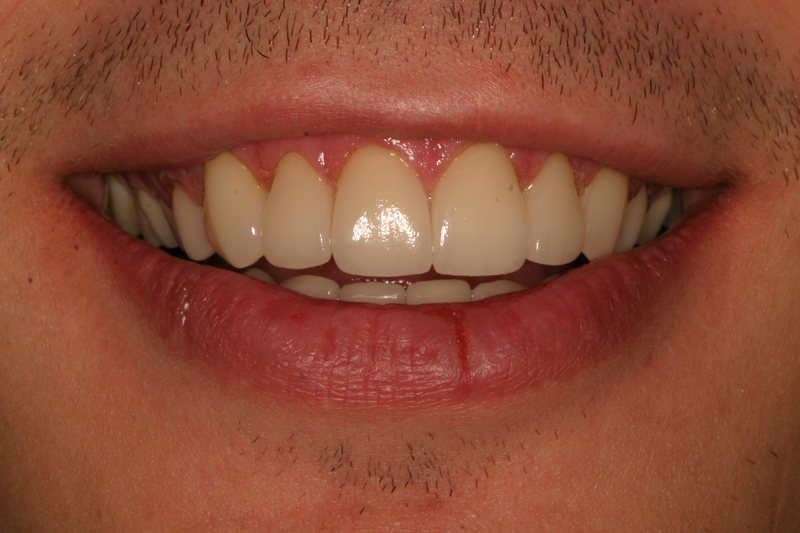 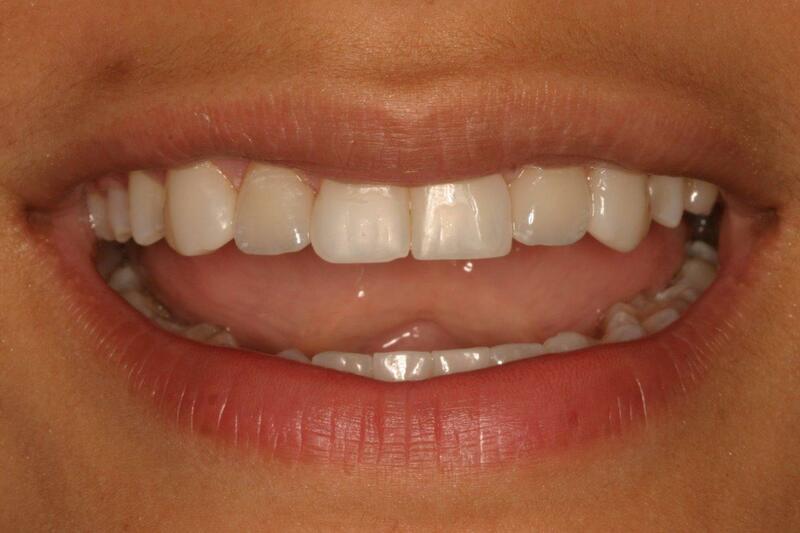 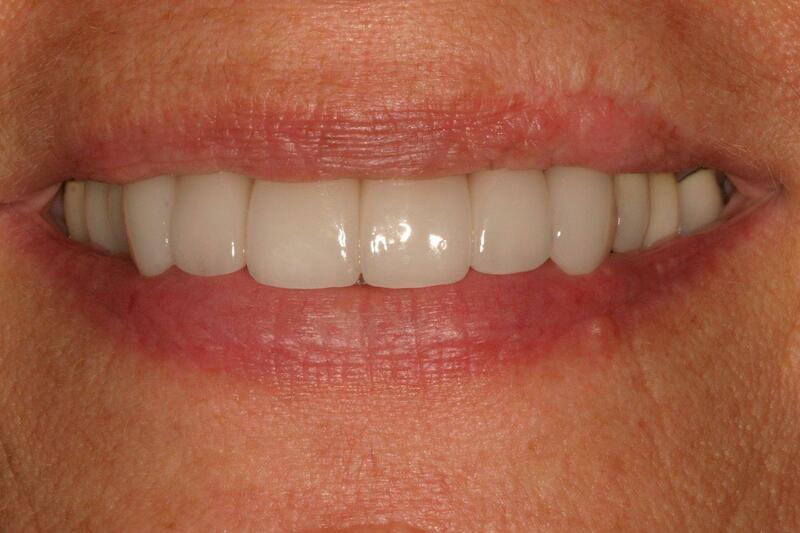 Previous front composite veneers were replaced by six porcelain crowns. 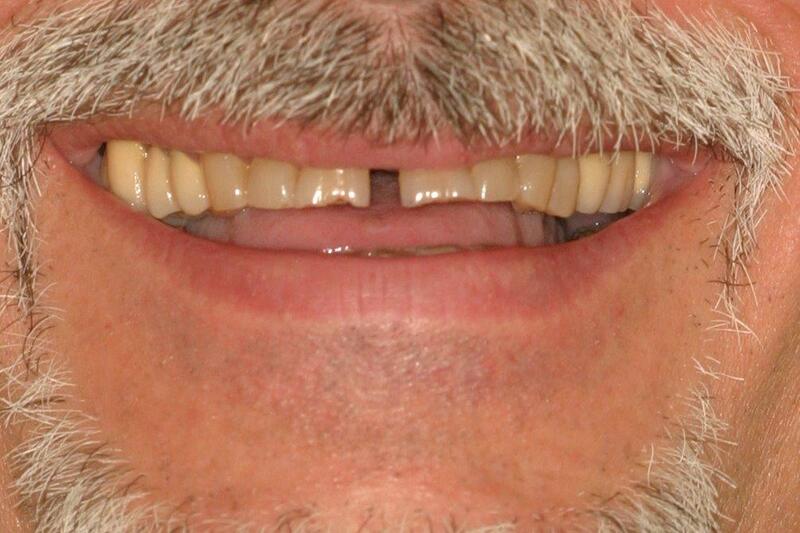 Four upper veneers and two crowns on the central teeth. 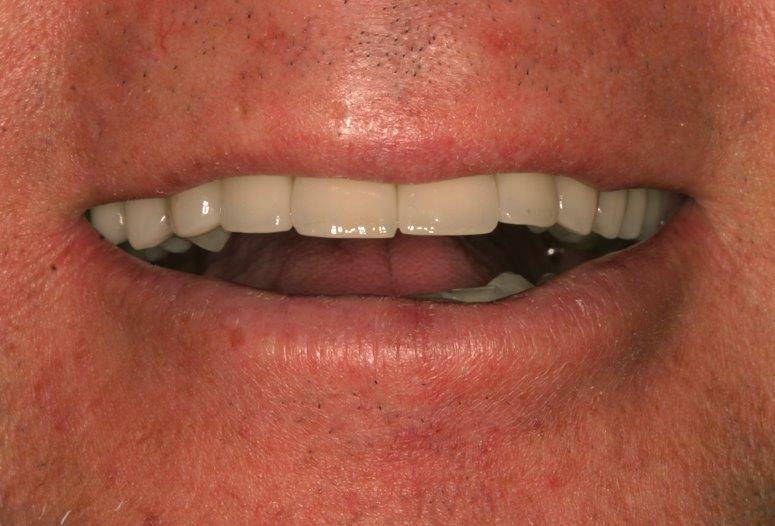 Five implants and porcelain crowns to cover all remaining teeth. 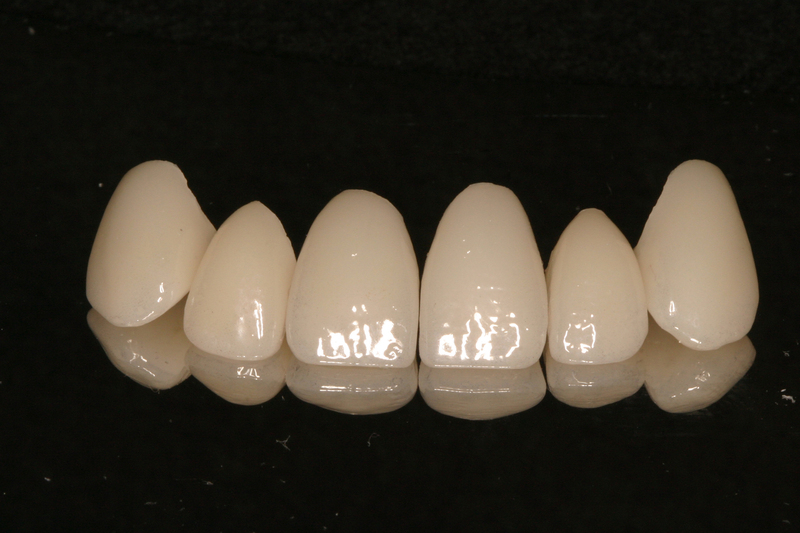 Ten upper veneers and 8 lower veneers. 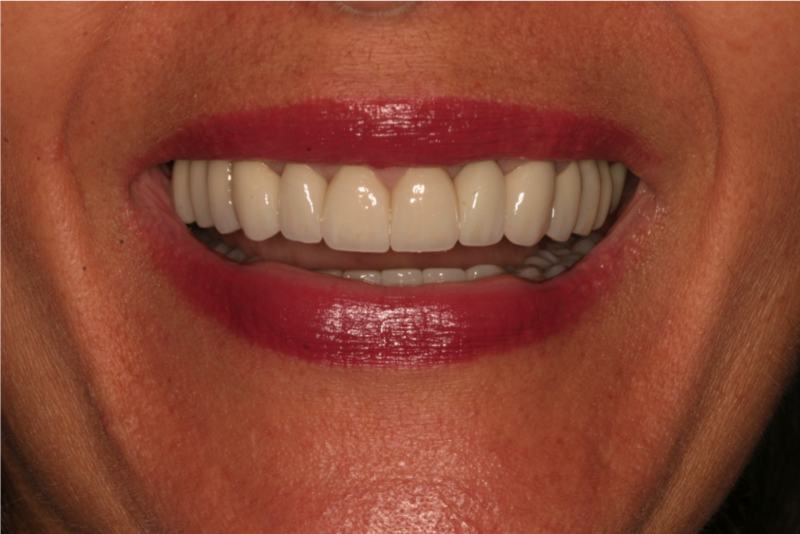 Eight upper veneers and eight lower veneers to correct color and shape of teeth. 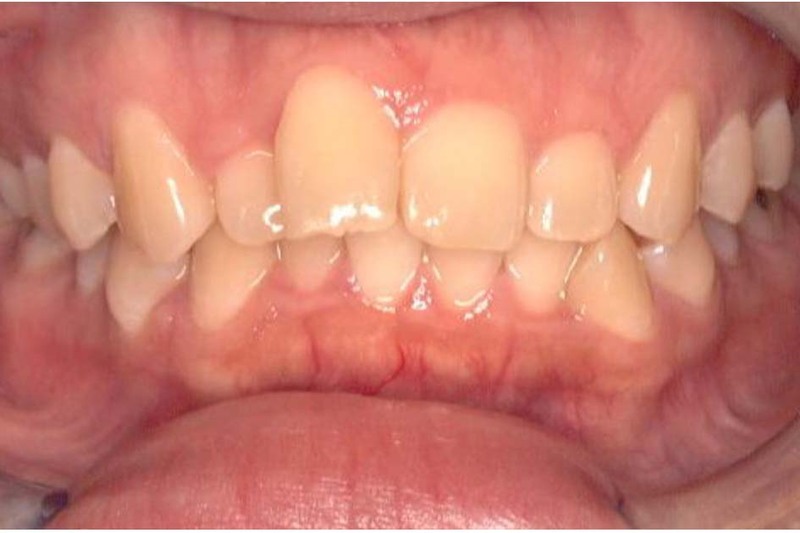 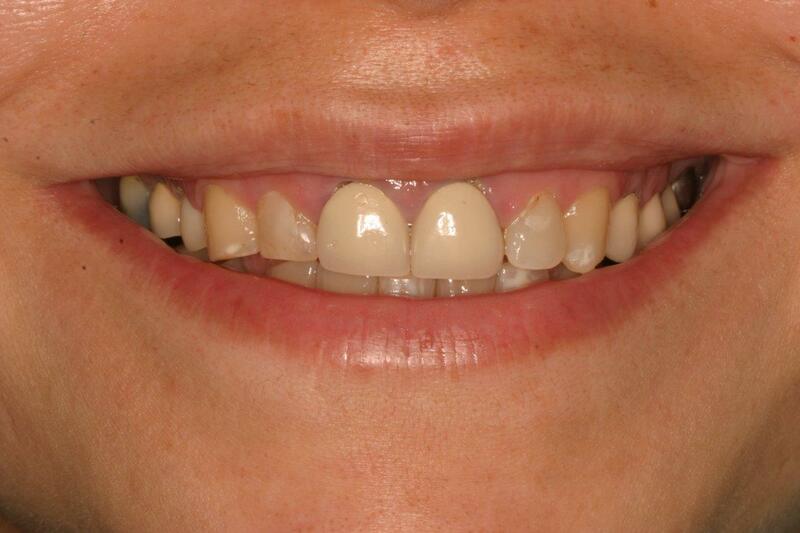 Orthodontics, periodontics, and full mouth porcelain crowns were done to correct occlusion. 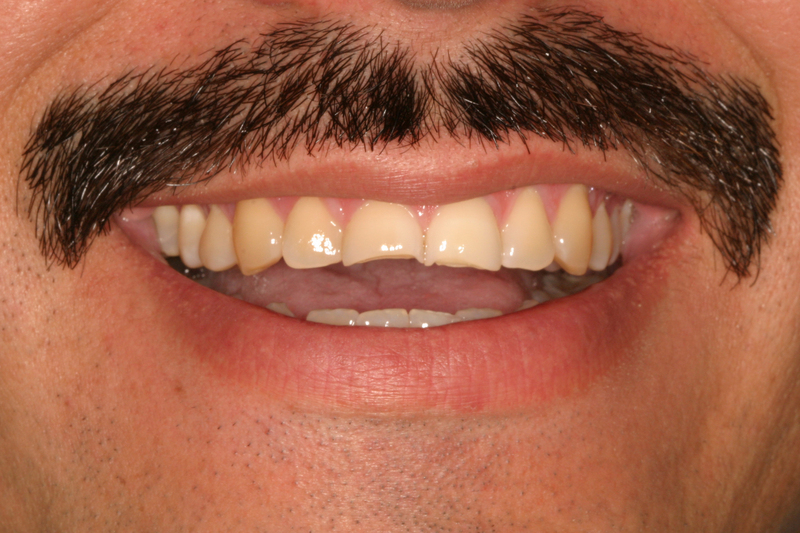 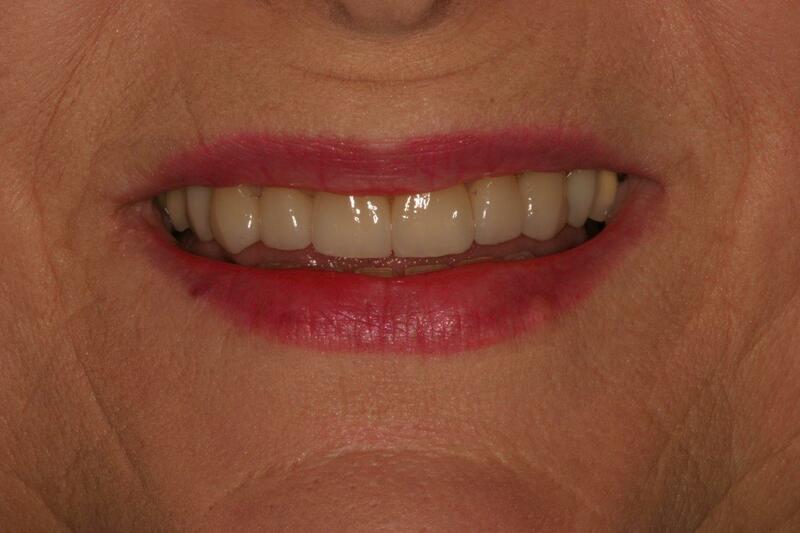 Orthodontics, periodontics, and six veneers were used to give patient a beautiful smile. 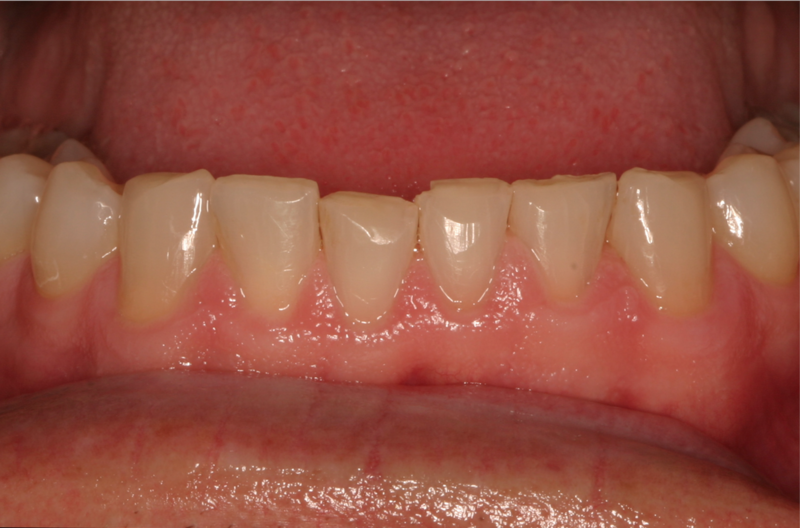 A very complex case of implants, porcelain crowns, and veneers. 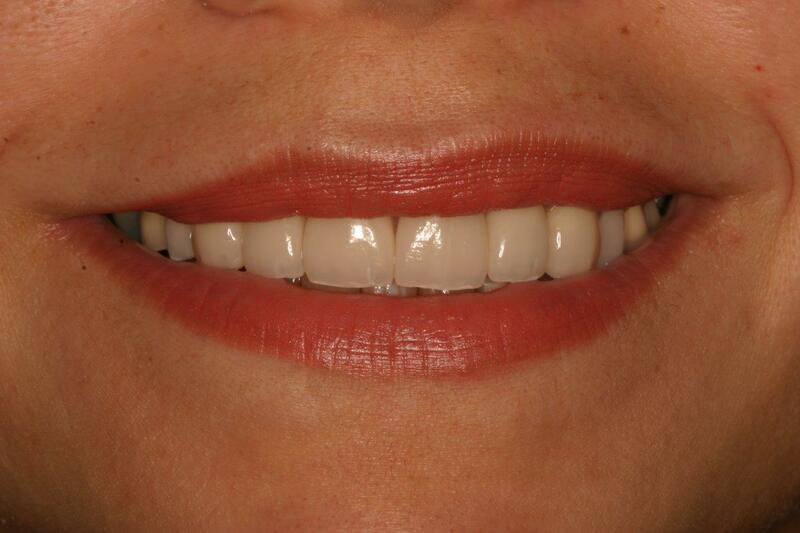 Anterior restorations to restore the patients smile. 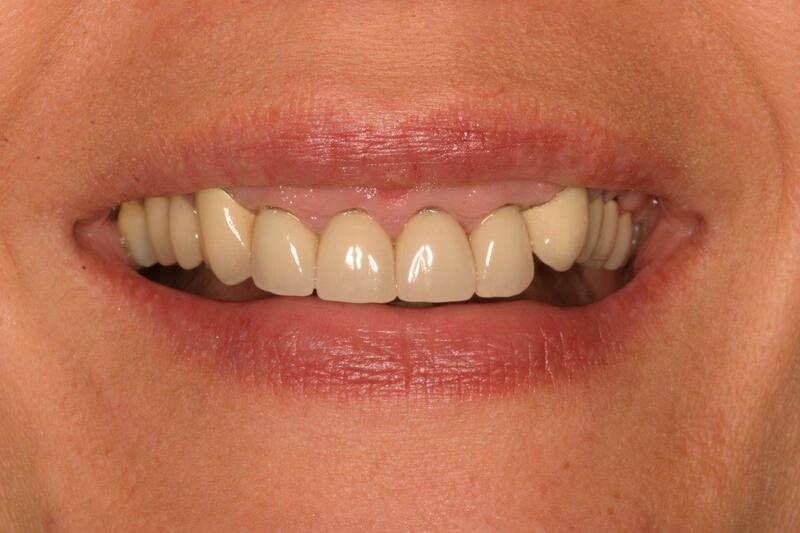 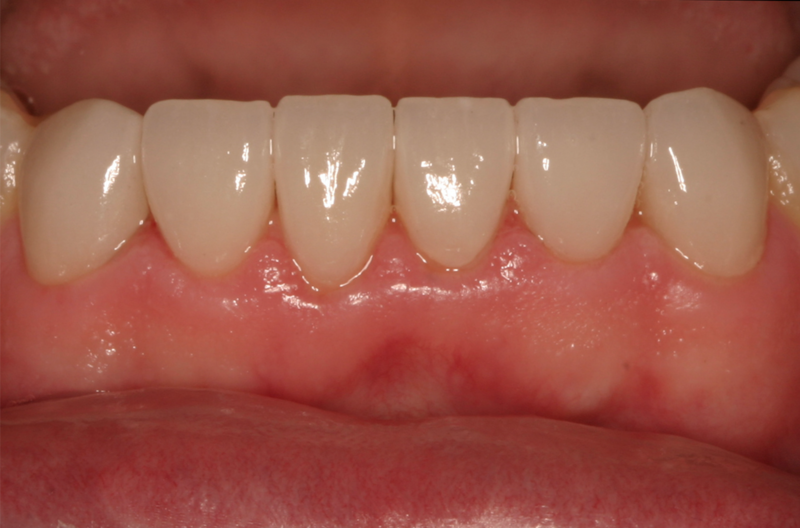 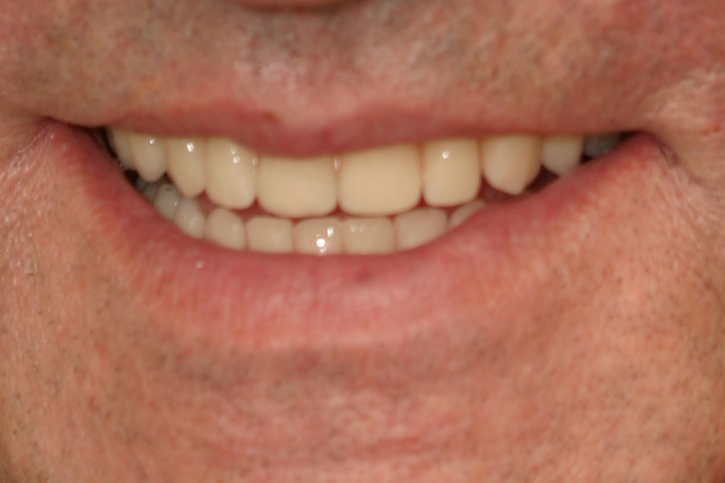 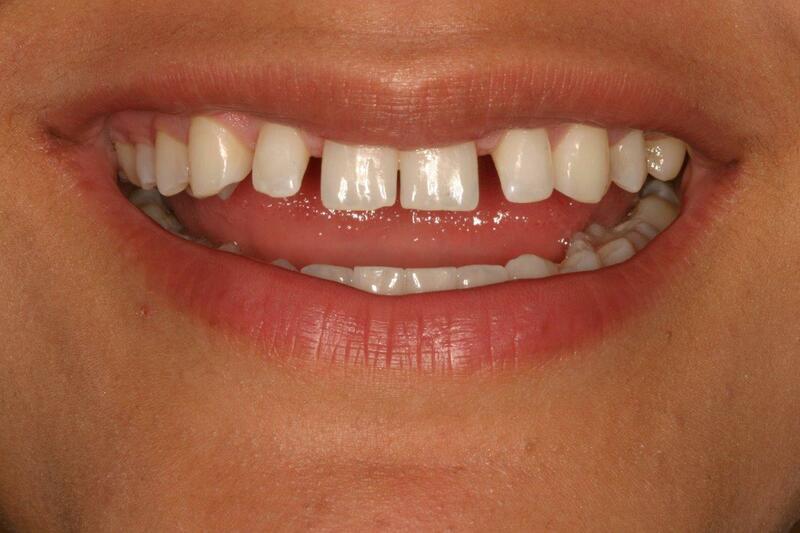 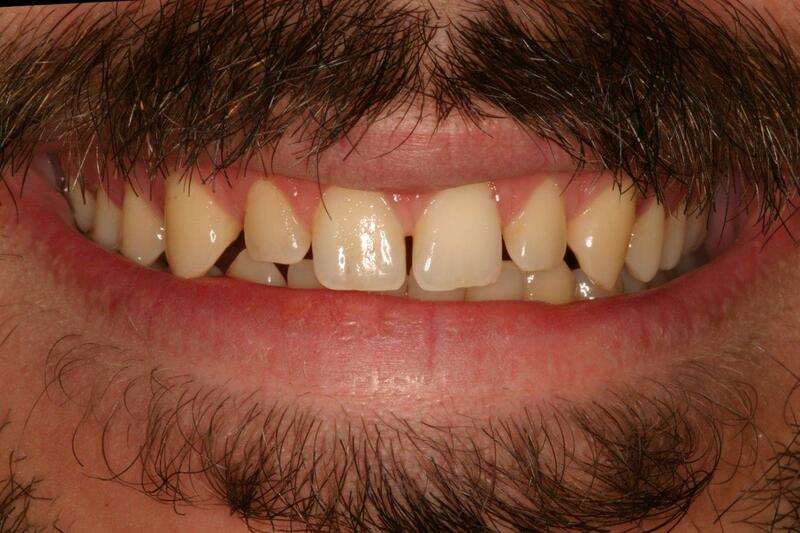 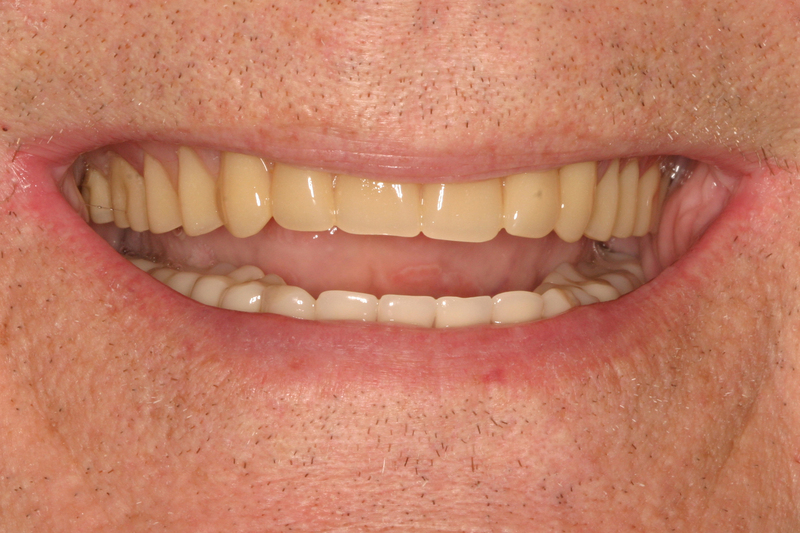 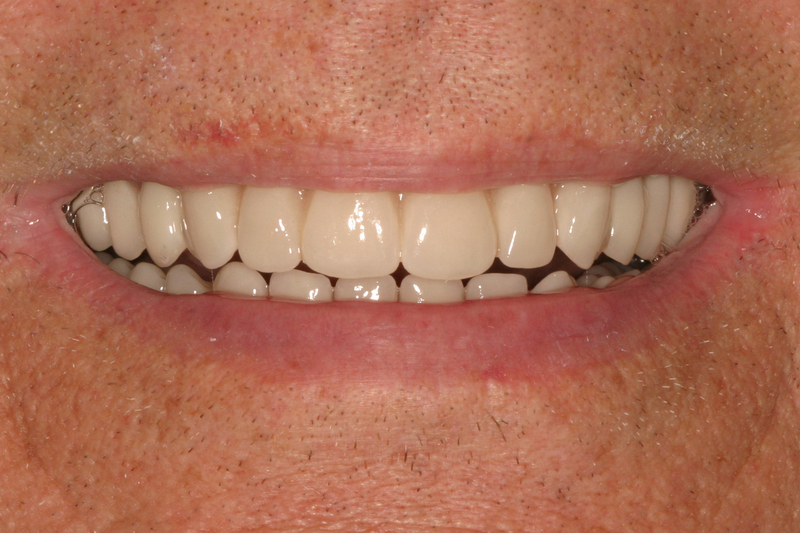 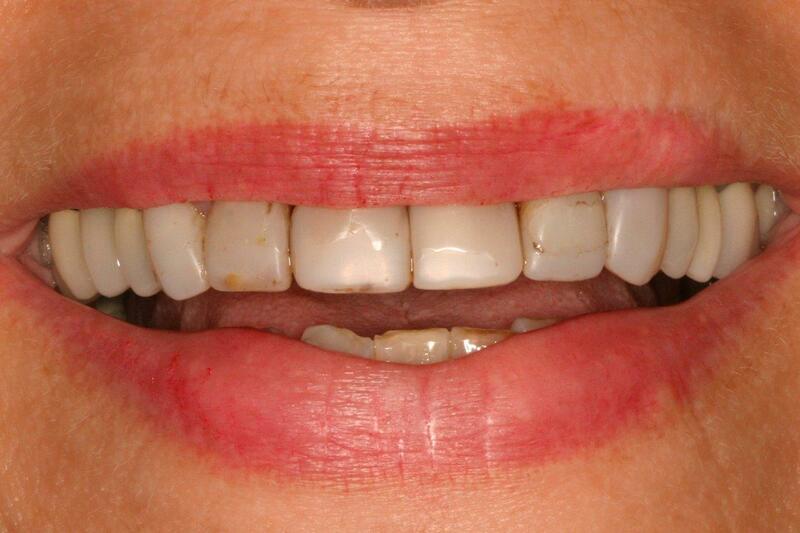 Four front porcelain crowns and several veneers were used to restore aesthetics and function. 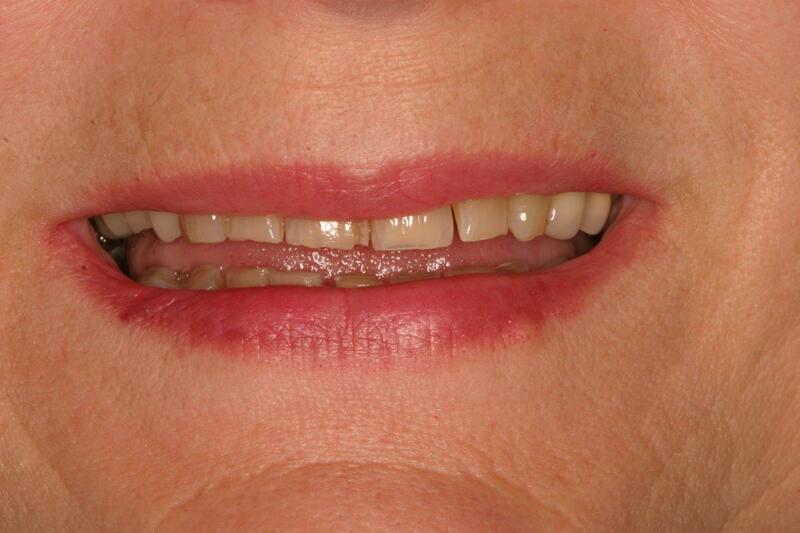 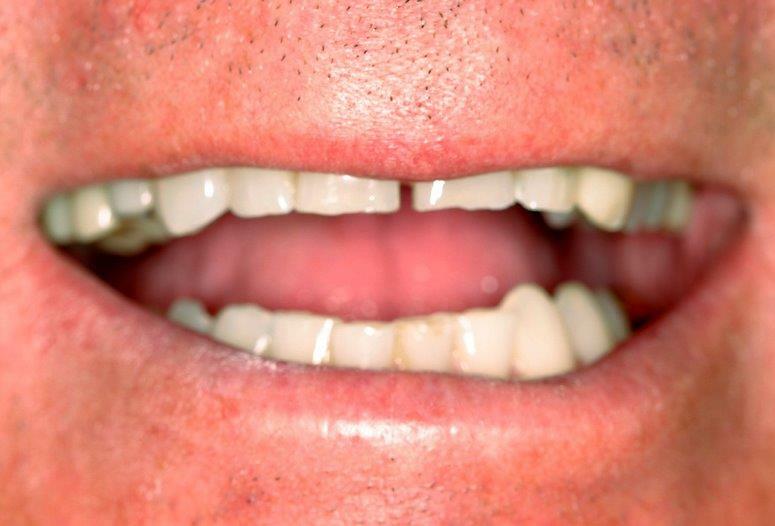 Upper denture vs. lower overdenture on four implants. 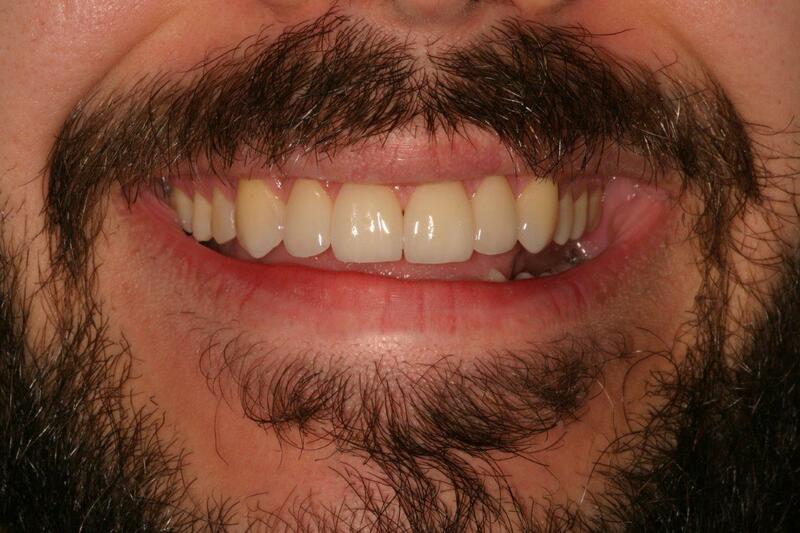 All on 4 (also known as Teeth in a Day). 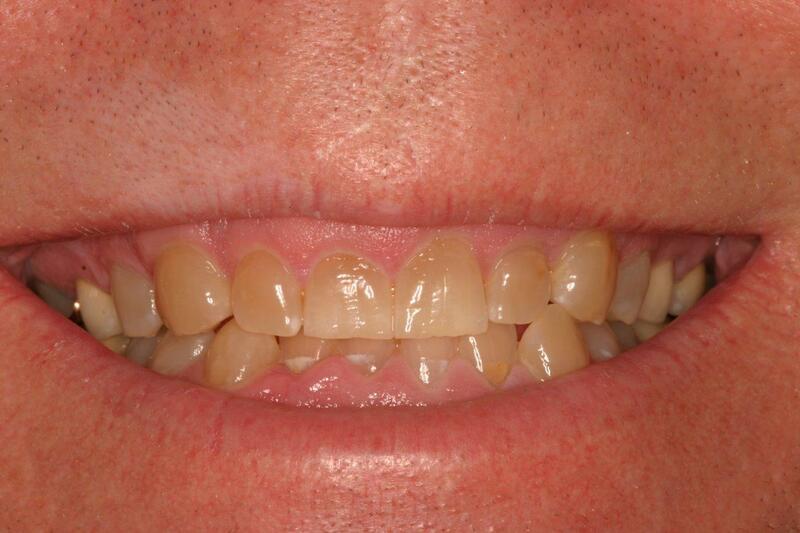 Fixed bridge over implant.